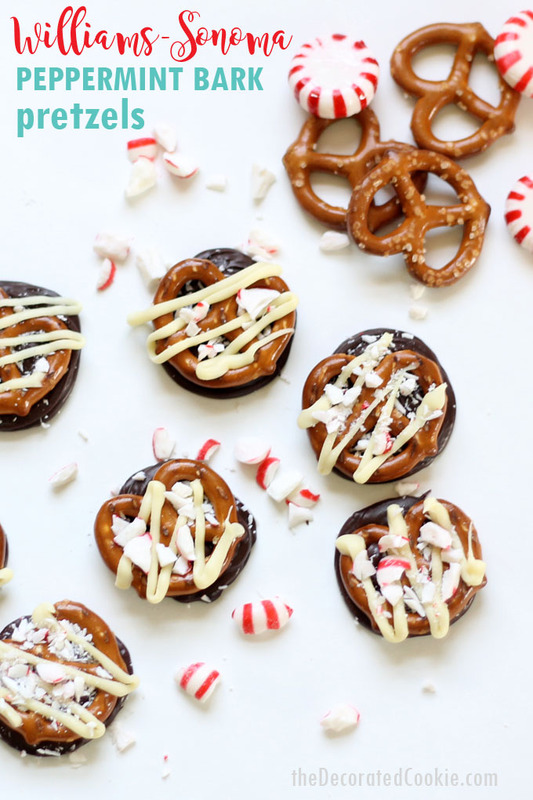 These homemade Williams-Sonoma Peppermint Bark pretzels are crazy, addictive delicious. AND, they cost a fraction of the store-bought version. ‘Tis the season to pay way too much for stuff. Much as I love Williams-Sonoma, they do get a good bit of heat this time of year for their high-priced food gifts (The Hater’s Guide to the Williams Sonoma Catalog goes viral every year). 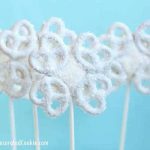 Last year, I made a homemade version of their marshmallow snowman stirrers. I could make a dozen for the cost of four. And I’ve also made the marshmallow snowman floaters. 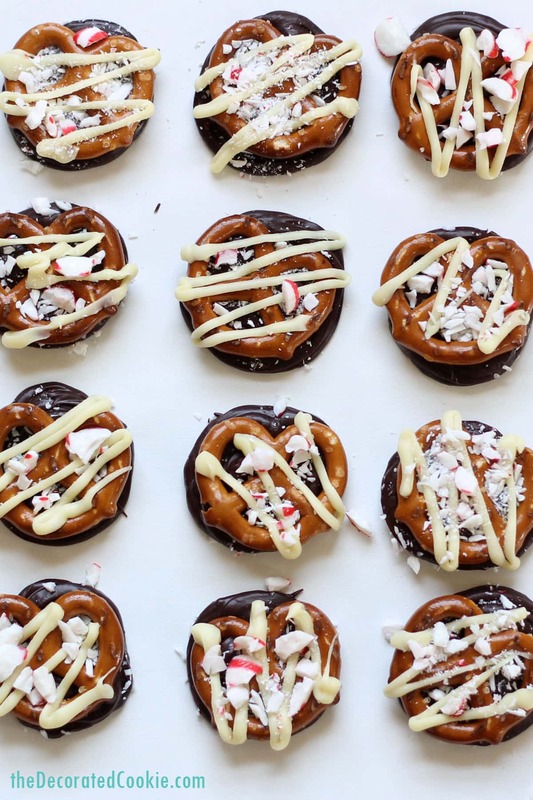 You can make seven or eight times the number of handmade Williams-Sonoma Peppermint Bark pretzels for the same cost as the store-bought version. 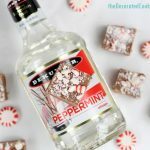 Omit the peppermint extract and you’ll save even more. 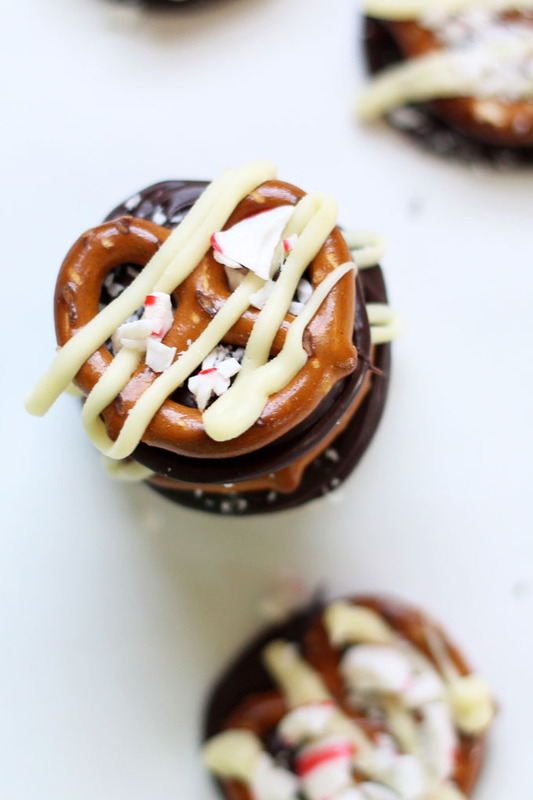 Check out Williams-Sonoma’s version. Uncanny, right? 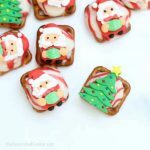 And since these treats taste so good and are such a great homemade gift idea, you’ll want to make seven or eight times the number. 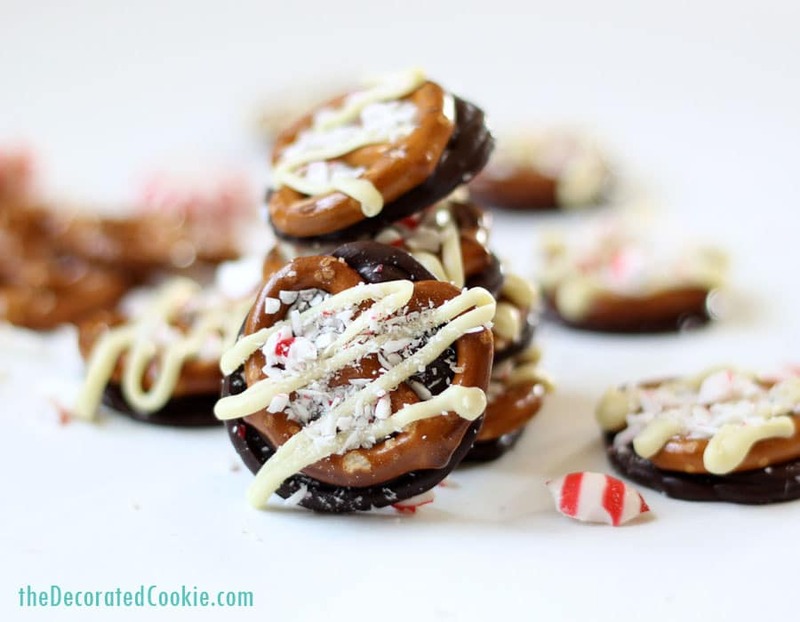 They have just the right balance of salty and sweet, smooth and crunchy, and a lovely, chocolate-y minty flavor that isn’t overpowering. I could actually eat seven or eight times the number myself. 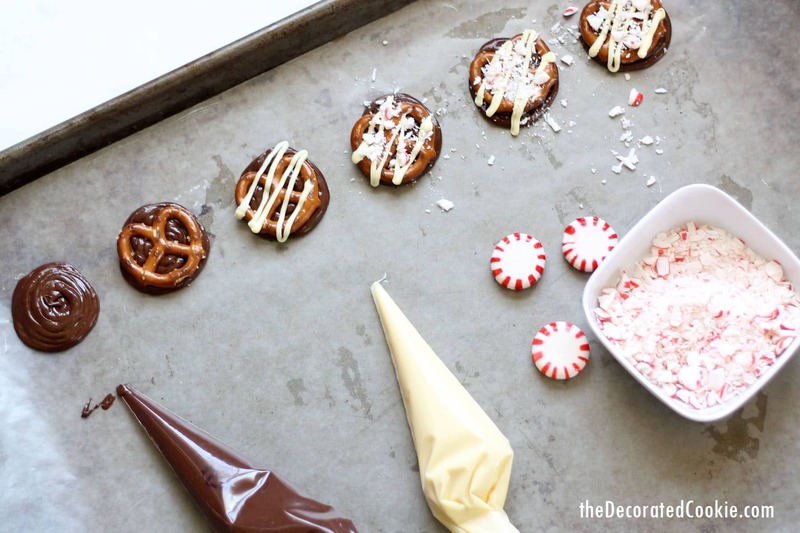 To easily pipe the chocolates, I melt the chocolate first in the microwave and then pour into disposable decorating bags. Disposable decorating bags are inexpensive and a fantastic tool to have around, especially for working with chocolate. You can find them in the baking aisle of the craft store. You may also substitute a freezer-safe ziploc bag (because the freezer ones are a bit thicker) and use the corner to pipe, although I find the decorating bags much more user-friendly. 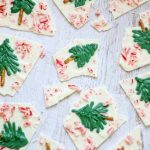 This post for Williams Sonoma peppermint bark pretzels also appears on Food Fanatic. 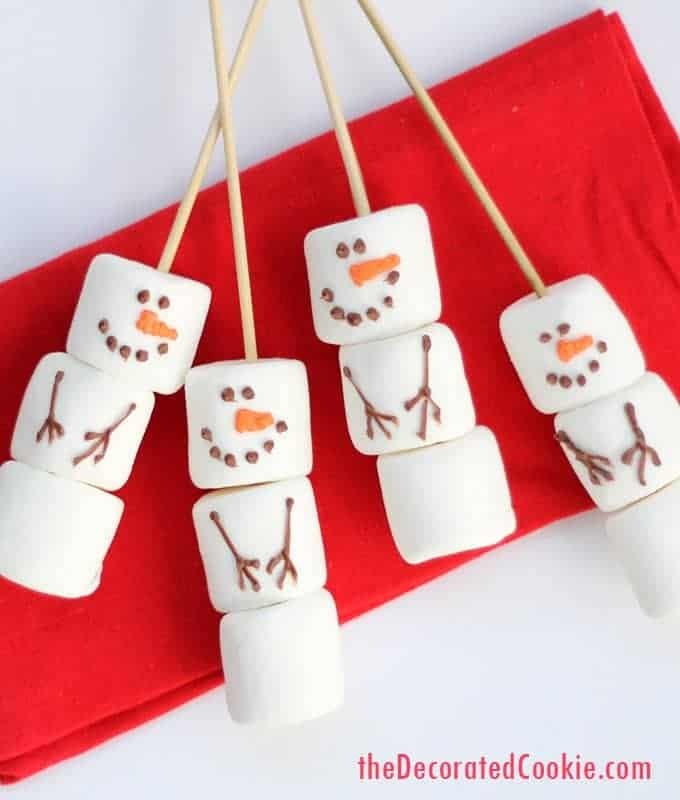 If you like these, be sure to check out my marshmallow snowman stirrers.